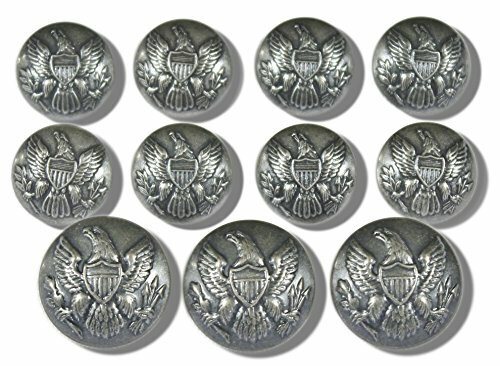 These metal buttons, crafted by The Waterbury Button Company, are embossed with the exact same Eagle & Shield emblem as the ones they made in the 1860's for the uniforms of Union Army Soldiers during the American Civil War. Whether they're intended for military, civil service, or high fashion applications, Waterbury Buttons have been the gold standard & preferred buttons for all aspects of society for nearly 200 years. Don't you owe it to yourself, and your wardrobe, to find out why?